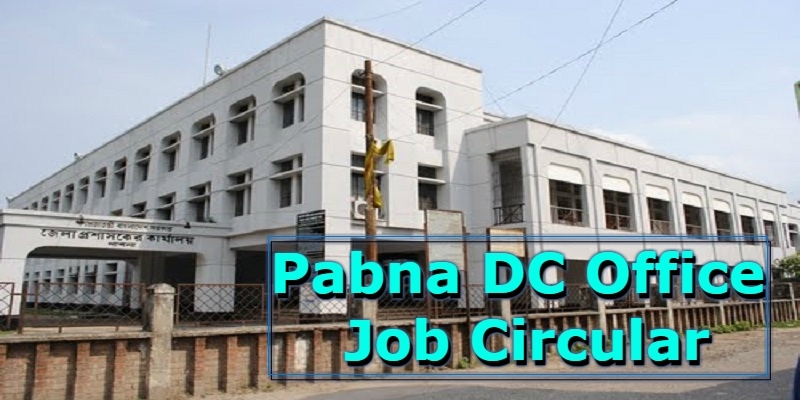 Pabna DC (Deputy/District Commissioner’s) Office Job Circular 2019 has published on 29 January 2019. Pabna Deputy Commissioner’s office has published the job circular in their official website. Six people will be appointed for the post of Union Parishad Secretary under the office of Pabna Deputy Commissioner. We have also posted the circular. At least second class graduate or equivalent degree holders can apply for this job. Applicant must be a permanent resident of Pabna District. If you are looking for another job circular like government, company, private, etc. job then visit our website. We have updated jobs circular every day. The job of Union Parishad Secretary will be given them those are local people of Pabna. 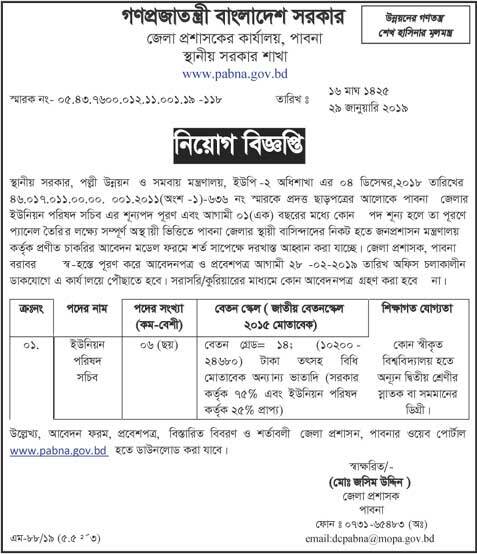 So, if you are a local member of Pabna district and interested to do this job submit the applications before 28 February 2019. Interested applicants have to fill the application form by themselves and send it at Deputy Commissioner Office, Pabna. Six people will get the job so; you can be one of them. This is not a permanent job but the salary of this job is given by the law of 2015. By the pay scale, the salary will be given 10,200- 24,680 take for the post of union council secretary.